Premium Guard offers a full line of air filters with nearly complete coverage for late models as well as older models. Our air filters are built to the highest standard to deliver optimal dirt-holding capacity, filtering efficiency and maximum protection for your engine from harmful airborne contaminants. Efficiency is measured in percentage and represents the volume of dirt/contaminants an air filter prevents from entering an engine. Our engine air filters are designed to trap up to 98 percent* over the life of a filter. Dust-holding capacity measures the overall quantity (weight) of airborne contaminants captured throughout the life of the auto air filter. Our air filters are engineered to provide high dust-holding capacity for exceptional longevity and performance. Restriction of airflow measures air flow through the car filter into the engine and assesses the differential pressure between the clean and dirty side. Our automotive air filters are designed to maximize flow of clean air for enhanced power and performance. Most car manufacturers recommend changing the air filter every 10,000-12,000 miles or once a year, whichever comes first. 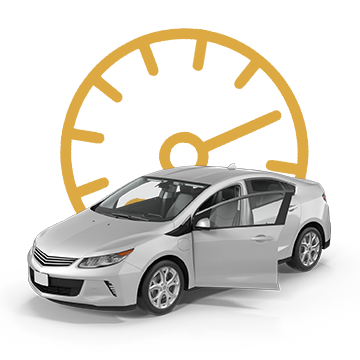 Many cars are equipped with an airflow sensor that sets off the check engine light. Premium Guard automotive air filters are white to display dirt. Check the outside and inner layers of the filter paper for dust and debris. When engines get less oxygen, they consume more fuel. If you notice fuel economy going down, you may need to replace the air filter. Restricted air supply can result in unburnt fuel exiting the engine as soot residue. Soot accumulates on the spark plugs and may cause the engine to misfire. Is your car not responding well or jerking when you step on the accelerator? Replacing the engine air filter can improve acceleration or horsepower. Poor air supply can result in fuel that doesn’t burn completely during the combustion cycle. Unburnt fuel exits through the exhaust pipe and may result in smoke or flames. 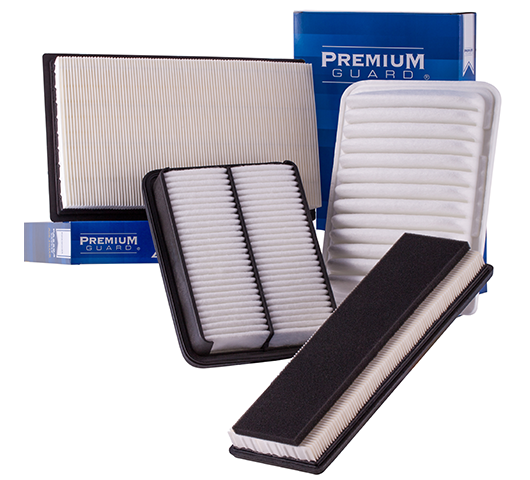 Premium Guard offers a full line of automotive air filters with nearly complete coverage for all makes and models. Built to the highest standards, Premium Guard air filters deliver over 98-percent efficiency for optimal engine performance.